Epic Games’ MOBA has received tons of changes with the new patch. 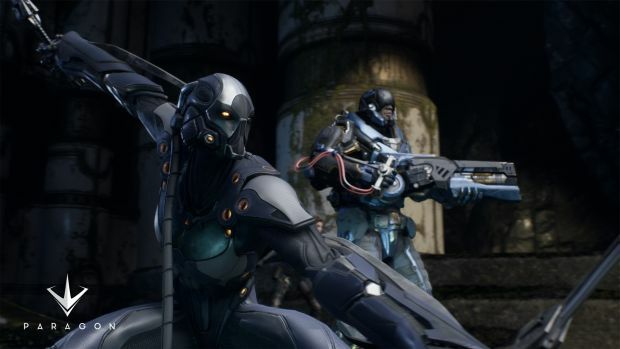 Epic Games’ Paragon, currently in Early Access for PS4 and PC, has received a whole range of new features courtesy of patch .28. The first most noticeable change is the Homescreen which now looks better and provides easier navigation to various settings like the new audio sliders. Quests have also been added to better reward players with card packs. There are also Victory Chests to be earned which will offer coins, XP boosts and cards. Gameplay has also been changed up significantly. It’s now possible to respawn inhibitors if you dunk the Orb of Power on your own territory and auto-sprint has replaced the default sprint, becoming active if you don’t take damage or use abilities for a few seconds. Players can now view their card decks outside of home base to better plan out their progress on the move (though you still need to be in home base to add upgrades). Cards will now max out at 10 points as well. Check out the video below for more information on hero changes, new skins and whatnot or just hit up the patch notes here for more information.